Seat has opened order books for its flagship Tarraco SUV, which is priced from £28,320. 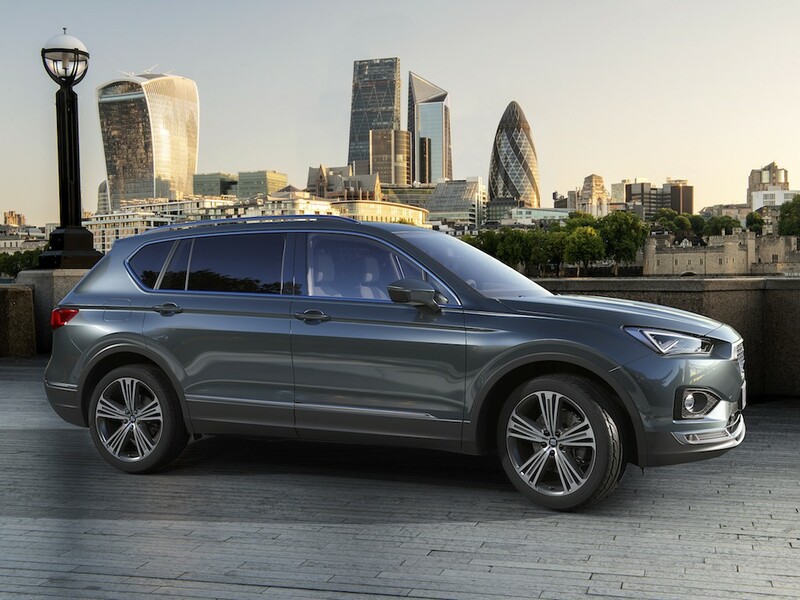 Marked out as the brand’s first large SUV, the Tarraco sits above the Arona and Ateca to complete its line-up and is expected to bring “considerable volume” of new customers to the brand, including large corporates. Engine line-up from launch covers two turbo petrols: a 148bhp 1.5 TSI with manual gearbox and front-wheel drive and a 187bhp 2.0 TSI with DSG and four-wheel drive. The diesel launch line-up comprises two 2.0-litre turbo diesels in the form of a 148bhp unit, offered with front-wheel drive and manual gearbox but including a DSG 4Drive option, and a 187bhp version with DSG 4Drive as standard. A plug-in hybrid model is due after launch. Trim line brings just four variants in line with Seat’s adoption of its Easymove range simplification strategy earlier this year, covering SE, SE Technology, Xcellence and Xcellence Lux and offering DAB digital radio, 17-inch alloys, metallic paint and three-zone climate control as standard across all levels. A range of UK First Editions will also be offered for a limited time from launch. OTR prices start at £28,320 for the SE 1.5 TSI Evo 150PS; £29,330 for the SE Tech; £30,410 for Xcellence and £32,135 for Xcellence Lux.